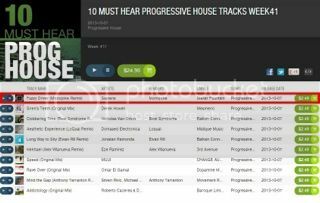 New Releases on Stellar Fountain, Rezongar Music, Beatport..
Post subject: New Releases on Stellar Fountain, Rezongar Music, Beatport.. 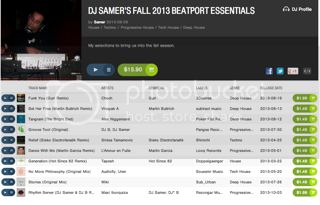 Featured on Beatport, and Beatport's #1 Must Hear Progressive Tune For This Week's Releases! Sapiens is a stage name of Alon Shapiro, an already known electronic music producer and a DJ in progressive, tech and deep house genres. Sapiens has been spinning in clubs, dance bars and outdoor events all over Israel since 2004 and has become publicly known for his unique musical taste, intelligent and deeply pumping sets, harmonic mixing techniques, combining various genres into one long dancing composition. On the producer side Sapiens follows what he likes and prefers as a DJ, so there's no chance to get confused! 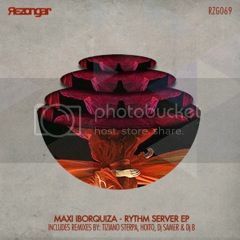 His fresh material 'Fuzzy Driver' is an absolute catchy production, with a pulsating groove an incredible fine melody structure, which ask for repeated listen. On the remix side we can welcome Monojoke, Stanisha and Dj Samer & DJ*B. The original mix has a solid sound selection, with dope drum and bass combo, and floating synth and string arrangement. Monojoke's epic festival pusher edition put a lot of creative energy to the main theme's complex structure, while using the recognizable parts carefully. Stanisha was not afraid to take the original into a more experimental, an darker level, packed with unawaited effects and technical solutions. Dj Samer & DJ*B created an analog but warmth sounding version, armored with lovely vintage synths which leads into a lazy, feel-good atmosphere. Some great tunes to ring in the fall season! **Coming Soon** DJ Samer & DJ B "Groove Tool" EP (The Remixes) on Pangea Recordings inc. Hardy Heller, Sean McClellan, Big Al, Python, and Ri9or Vocal Remixes! TO SUBSCRIBE to our newsletter, please email pangea@pangearecordings.com with the word "subscribe" in the subject.